[S12] C. Arnold McNaughton, The Book of Kings: A Royal Genealogy, in 3 volumes (London, U.K.: Garnstone Press, 1973), volume 1, page 289. Hereinafter cited as The Book of Kings. [S12] C. Arnold McNaughton, The Book of Kings, volume 1, page 390. Elisabeth Maria Maximiliana Prinzessin von Thurn und Taxis was born on 28 May 1860 at Dresden, Sachsen, GermanyG.2 She was the daughter of Maximilian Anton Lamoral Erbprinz von Thurn und Taxis and Helene Karoline Therese Herzogin in Bayern.1 She married Miguel de Bragança, Duque de Bragança, son of Miguel I de Bragança, Rei de Portugal and Adelheid Prinzessin zu Löwenstein-Wertheim-Rosenberg, on 17 October 1877 at Regensburg, GermanyG. She died on 7 February 1881 at age 20 at OdenburgG. She gained the title of Prinzessin von Thurn und Taxis. [S12] C. Arnold McNaughton, The Book of Kings, volume 1, page 290. Anastasia Prinzessin von Anhalt was born on 22 December 1940 at Regensburg, GermanyG.2 She is the daughter of Eugen Friedrich Ernst August Prinz von Anhalt and Anastasia Therese Karoline Jungmeier.2 She married Maria Emanuel Markgraf von Meissen, son of Friedrich Christian Albrecht Markgraf von Meissen and Elisabeth Helene Prinzessin von Thurn und Taxis, on 31 January 1963 at Vevey, SwitzerlandG.2 She was also reported to have been married on 23 June 1962 at Vevey, SwitzerlandG. 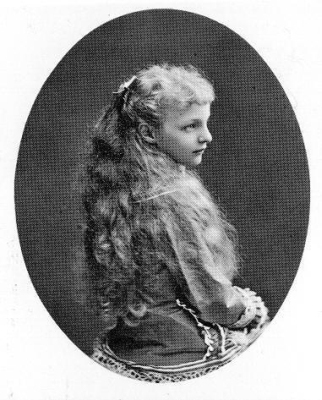 She was given the name of Anastasia Luise Alexandra Elisabeth Jutta Sybille Marie-Auguste at birth. Roberto de Afif was born on 30 November 1916. He married Maria Anna Josepha Prinzessin von Sachsen, daughter of Friedrich Christian Albrecht Markgraf von Meissen and Elisabeth Helene Prinzessin von Thurn und Taxis, on 1 May 1953 at Paris, FranceG. He died on 13 December 1978 at age 62. [S7545] Unknown author, Almanach de Gotha (n.p. : n.pub., 2014), page 374. Hereinafter cited as Almanach de Gotha. Eugen Friedrich Ernst August Prinz von Anhalt was born on 17 April 1903. 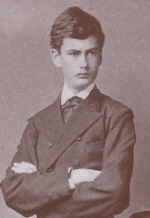 He was the son of Eduard Georg Wilhelm Maximilian Herzog von Anhalt and Marie Agnes Luise Charlotte Prinzessin von Sachsen-Altenburg. He married Anastasia Therese Karoline Jungmeier, daughter of Max Jungmeier and Anastasia Steiner, on 2 October 1935. He died on 2 September 1980 at age 77. [S12] C. Arnold McNaughton, The Book of Kings: A Royal Genealogy, in 3 volumes (London, U.K.: Garnstone Press, 1973), volume 1, page 290. Hereinafter cited as The Book of Kings.